A shield boss is a raised section, often made of metal, at the center of the shield with the purpose of deflecting blows away from the center of the shield. This Embossed Brass Shield Boss is perfect piece to mount on your own rounded shields. This shield boss consists of a circular sheet of metal with a round, raised bubble at the center that helps to deflect blows away. This shield boss is more decorative then others, featuring elegant, embossed designs, like dragons and cherubs across its surface. 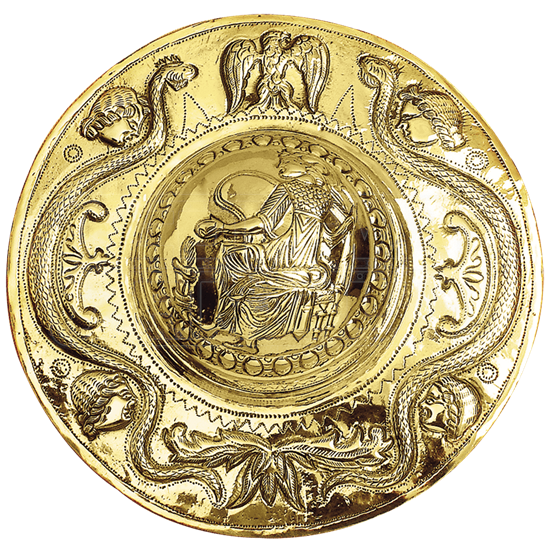 Four small circles sit around the edges as locations where the metal is open and can be mounted to a shield, although this decorative piece would also make a great display if left unmounted and undamaged. 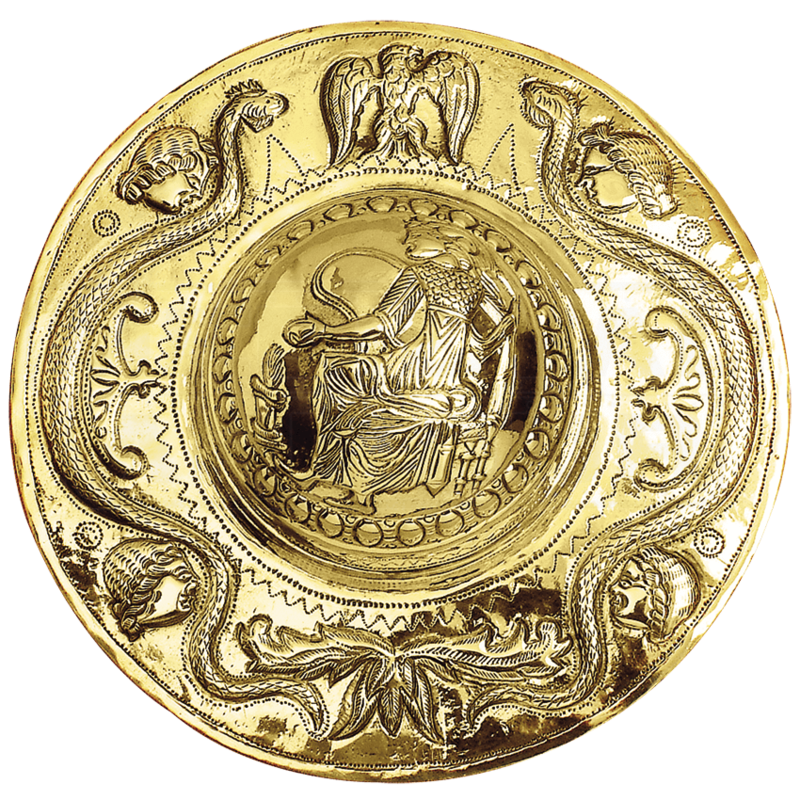 This Embossed Brass Shield Boss is the perfect piece to use when you are constructing your own personal shield, as well as a great collectors piece to display in a case or sit on a shelf for all to see and admire.